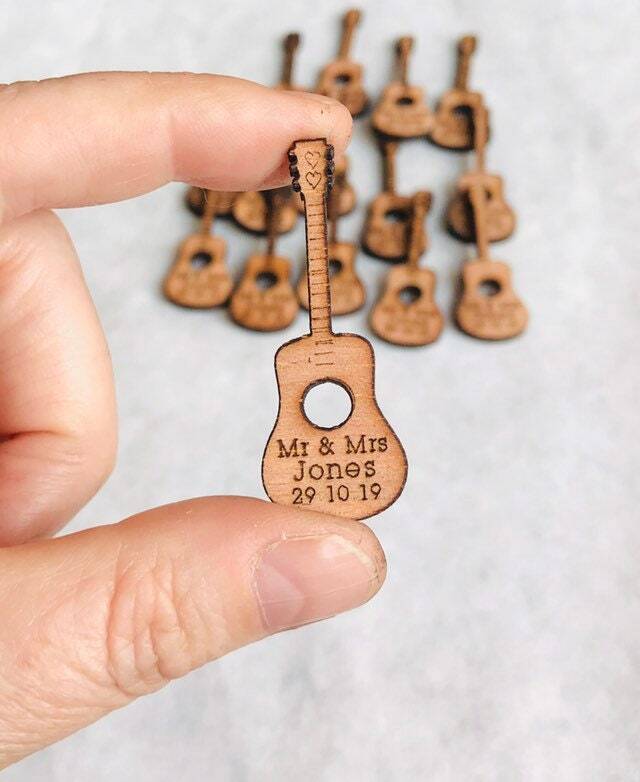 Personalised Wooden Acoustic Guitar. 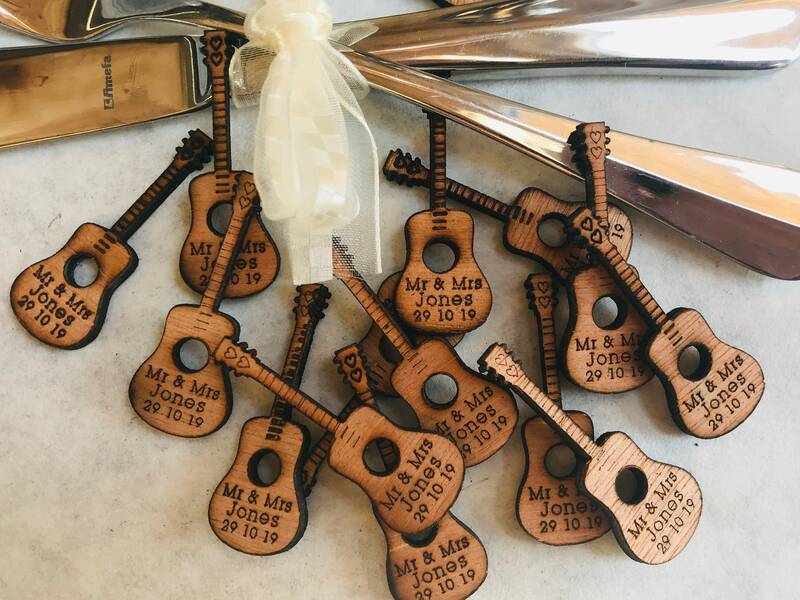 Wedding Favours, Table Confetti, Party Decorations. Vintage, Rustic, Retro. 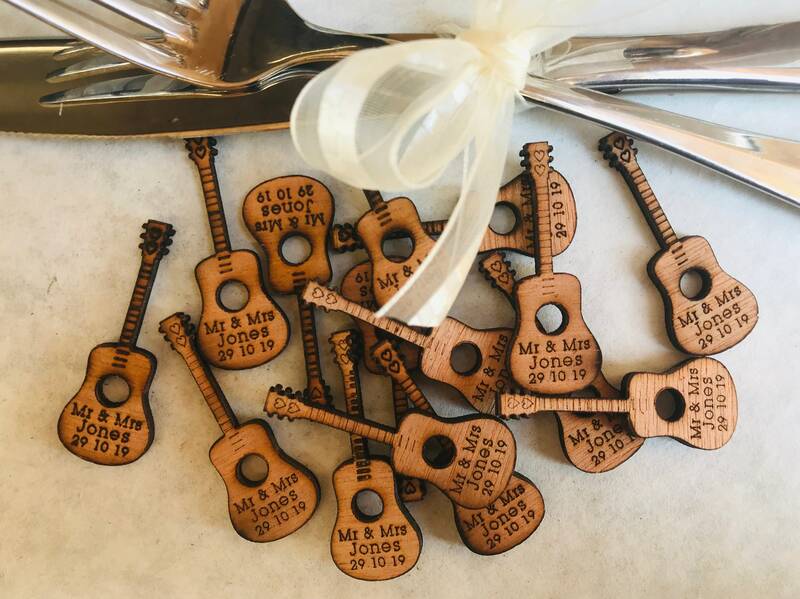 Each one is personalised with two names OR Mr/Mrs + surname and a date. Approx: 4.2cm x 1.5cmm - 3mm depth.